Please call 707 829-5513 or email us: Drjswoo@comcast.net to schedule your initial complimentary exam. If you prefer, please fill out our secure online REQUEST AN APPOINTMENT form. After you submit the form, our staff will be in touch with you to confirm an appointment date and time. 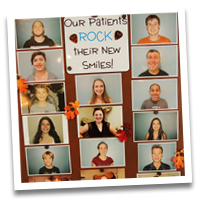 Dr. Woo’s goal is to help you make informed decisions about your family’s orthodontic care. During the “no charge, no obligation” initial complimentary exam, you will learn about the treatment options that will best fulfill your needs. Dr. Woo wants you to feel comfortable with your decisions. Therefore, he encourages you to begin treatment at your own pace, but, ideally within the time frame that is recommended for the most efficient treatment of your case. Why should you consider Orthodontic Care?